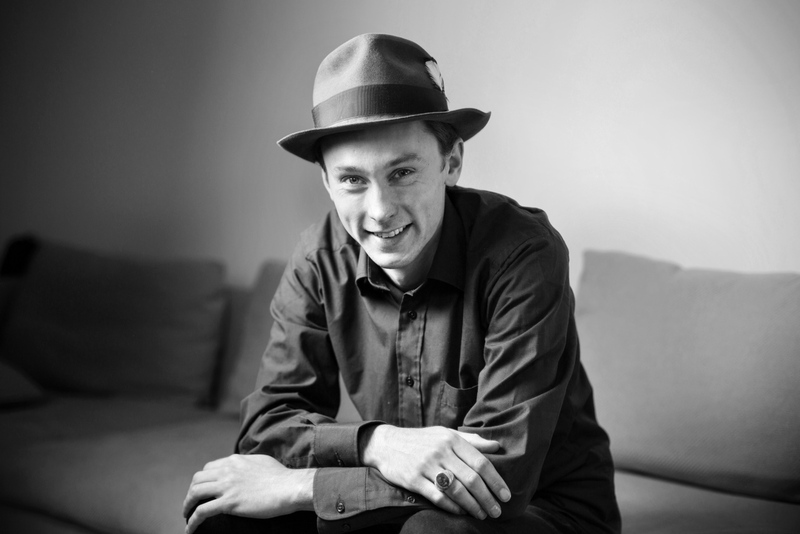 David Lyttle is a drummer, bandleader, composer and record label boss, based in Northern Ireland… Is there anything I’ve missed David?! We met through a mutual friend, at Sligo Jazz Festival a few years ago… I remember sitting in with David’s band and then we all got to enjoy the incredible DJ-ing of Gilles Peterson! Did ‘Animal’ from Sesame Street get you into the drums? What an opener! He possibly played a part later on but I first got into the bodhran and the lambeg drum (native drums of Ireland). I got my first drum kit when I was eight. My parents bought it off the church—I’d watched the church drummer play many times and I think that was significant. So did you play in local folk sessions when you were younger then? I’m always a bit envious of people who have grown up with their traditional music around them. My family had a caravan on a campsite in Donegal and we led the session in the site bar every weekend during the summer. That was a fantastic experience. I did that from an age of about four until the site changed ownership when I was thirteen and the whole scene dissolved. Those summers were a big part of my childhood. I still have dreams about the campsite site and the people there. Outside of this we played concerts as a family band throughout the year. It was but we continued to play and made a few trips to the US in my teens, which were great. I think all of those experiences just made music feel very natural to me. Have you ever been through a phase of playing 6 hours of rock most days??! I was never a rock kid really. I spent a brief period practicing three hours a day leading into my first big jazz tour. Greg Osby was my guest so the pressure was on. Three hours was the most I could manage though. I’ve never really been a drum nerd but I do listen to a lot of music. I spent four years listening, transcribing and analysing every day for my PhD so that probably made up for my lack of practice. Which musician/record took you into jazz then? Believe it or not I first truly heard jazz on TV. A Charlie Brown Christmas was on—I’m not sure if I had planned to watch it or it was just on. The soundtrack is played by the Vince Guaraldi Trio. It grabbed me instantly and got me checking out a lot of jazz. After a while I discovered Miles Davis’ Kind of Blue and then Art Blakey, who became my idol. I think it must have. My first hero in music was a drummer and bandleader and that’s what I do now. I did have a few good experiences playing with influential Irish musicians, like guitarist Louis Stewart, but the majority of my development as a jazz musician came from challenging myself by setting up projects, sometimes as collaborations but mostly as a leader. Over ten years later I feel myself even closer to the Blakey school when I play jazz. Oddly I think I’m now focusing more on the very qualities that inspired me in the first place: the fire, soulfulness and sheer balls of his style. It’s fair to say that you (along with a few key others) have been making a huge difference to the jazz scene in Northern Ireland. For the uninitiated, can you give us a run-down of what’s happening over there, and perhaps what has changed over the last 5-10 years. When I started playing jazz there was very little happening here. It was either move somewhere else or try to make it work here. I’ve never really had a great desire to move away, though I wanted to live in New York at one point. I led a lot of weekly gigs and brought a lot of people in, starting with Irish musicians from around the island and then players from outside of Ireland. The weekly gigs were hard to sustain but I did a few years at various venues in Belfast before focusing on touring regularly with featured guests. To be honest, the scene isn’t much different now, except that people are maybe more informed as a result of the things that myself and a few others did. That’s an interesting point. I do hope in time the increased awareness leads to more investment in the arts in NI. What would you like to see happening to move things forward? I think there is definitely more interest in the arts, though it seems there’s less funding than there has been, but I think in general the world needs more music-passionate people in business. Music will never save the world but it makes it a lot more pleasant to live in. I remember going into a primary school to play a jazz concert. Before we started the principle said that the youngest children will sit in for the first couple of songs and then leave because they’ll get too restless and disturb the others. The whole school, 4-year-olds and all, stayed for the full 45 minutes of instrumental jazz. We kept the set varied put we didn’t patronise them or give them a watered down version of what we normally do. That was an interesting experience because in jazz we’re so used to the notion that it’s a more sophisticated music that’s not popular among the mainstream. Yet all those children were captivated by it. I bought my nephew an Art Blakey CD for his birthday a few years ago and he and his friends loved it. I would say that if I had waited until now—he’s a teenager—to buy it for him, we’d have a different story. So my point is that jazz and other ‘niche’ musics are less popular among adults because by the time they become adults they mostly haven’t been exposed to anything outside of commercial radio and television. If we can expose very young children to more challenging music we might find that their generation have a greater appreciation of ‘serious’ music. It might give the evolution of music a push too. Of all the music you’ve been working on what are you most proud of, and what are you most excited for in the next year or so? I think my last album has been the most original thing I’ve done. I hope my next one, which I’m currently finishing, will be a step forward. Although I started out playing jazz as a purist, I’ve become more diverse and have been enjoying collaborating with a broader range of musicians. And to your record label… Can you give us a brief history? What made you want to start one? I set up the label for my own music in 2007. Most musician-run labels start out that way. Some musicians I was working with then started asking me to release their music and by 2011 I had a catalogue, distribution and some recognition as a label. The last few years have seen signings of people like Jason Rebello and Jean Toussaint. How have they been to work with? Jason and Jean are heroes of mine. Ten years ago my goal was to play with them. Now they’re my friends and I’ve released their music. That’s a good feeling and I think those signings marked Lyte Records’ arrival in the jazz world. That said, I’ve never really been specific to one genre—I grew up playing folk music and was a house DJ in my teens. The label reflects that too. The last album I put out is by an Irish band called Moxie who are coming out of Irish traditional music but influenced by a lot of other genres. I think these days ‘genre’ is less important since the internet has opened things up a lot and we don’t need to rely on the media as much for exposure. I remember when I was seeking distribution a few years ago I was advised by a major distributor to split the label so that it wasn’t so diverse. I understand why that was suggested but I wasn’t into it at all. The label is an extension of me so it felt a bit like I’d be splitting my personality. Tom Harrison and I have worked together for a few years as musicians. We’ve become good friends and are alike in many ways. Like me, he’s ambitious and works hard, and has a lot of respect for musicians in the generations above. When I was talking to Jean Toussaint about releasing his album, Tom had already impressed me with his agency work. He’d also featured Jean in his own band. I recommended him to Jean and in the end Jean decided to work with him. The result was over twenty dates to promote the album and I think that’s when Turaco was born. My third album is coming out in February. This year has been all about writing and recording that. It’s a studio project like my last album and it features collaborations along with some of my own songs. I have a lot of interesting people on there, including most of the people from Interlude plus rapper Talib Kweli, Joe Lovano and Duke Special. Fantastic, I look forward to hearing that in due course… thanks so much for the chat David.